Welcome to the Designer Handbag section of our directory. You guessed it! 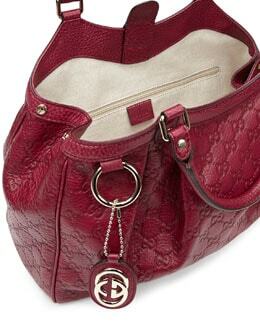 This section of our site has been developed to assist you with searching for designer handbags. This area can be used to research various pocketbook and purse options. You can search for a specific handbag designer, handbag brand, or handbag model. Magically, the entire internet will be scoured from top to bottom so that we can present to you information regarding the type of Handbags that you are searching to locate. Yes, we agree that this is simply amazing. Modern technology at its finest. We hope you enjoy searching for handbags and other fashion accessory topics. Trying on a purse is just as important as trying on clothes. Even though a purse is just an accessory, wearing the wrong style, size or shape can really ruin your look. 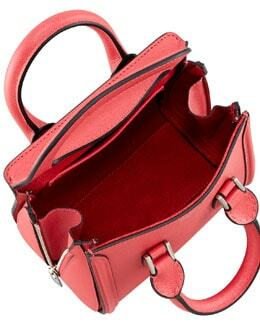 The part of the body that the handbag rests on will be the part of the body that the eye will be drawn to. The right choice of handbag can actually accentuate your positive attributes. Before you order one of the seasons hot, new bags, learn how to choose the right bag for your body type. Do you know who may enjoy designer handbags more then you? Well, maybe know one. If there was a group of people more fascinated by designer handbags then you, I would have to say that they would be part of the fashion blogger community. People that write fashion blogs, typically have several posts devoted to purses or handbags. In this section of the guide, you can view blog posts from around the world. Handbag Blog Posts: view the handbag blog posts on the Apparel Search fashion blog. Read current fashion news regarding handbags and more. If reading fashion blogs is not your thing, you may wish to read news from more traditional media resources. The section below provides easy access for locating fashion news topics. If you wish to use the search box in the top right section of this page, you can actually change the information below to show you news regarding other topics. For example, you can use the engine to display fashion designer news, celebrity news, fashion week news, women's fashion news, menswear news, textile news, apparel industry news, fashion event news, shopping news articles, etc. Don't forget that you can use the search engine on the main page of our site to search for any fashion relevant topic you choose. We think you should search for more handbags, but you are welcome to search for other fashion accessories if you wish. Below are a few search topics that may be of interest to you. Thank you for taking the time to review this page. If you have interest in discussing anything you have learned from this section you are welcome to share your thoughts in one of the fashion communities. Did you enjoy learning about bags? If yes, you may also want to learn about another accessory category such as belts. Don't you simply adore leather handbags, hobo handbags, purses, satchels, shoulder bags etc.